The so-called survivalism movement — made popular by the reality show “Doomsday Preppers” — sounds a little crazy. The idea of preparing for the end of the worldmight conjure images of wild-eyed people in tin foil hats hiding in bunkers. In reality, normal people of many different backgrounds, races, and income levels spend their days preparing for the worst. Shows like “Doomsday Preppers” show off the extremes of the movement, including people building elaborate castles to survive the zombie apocolypse. 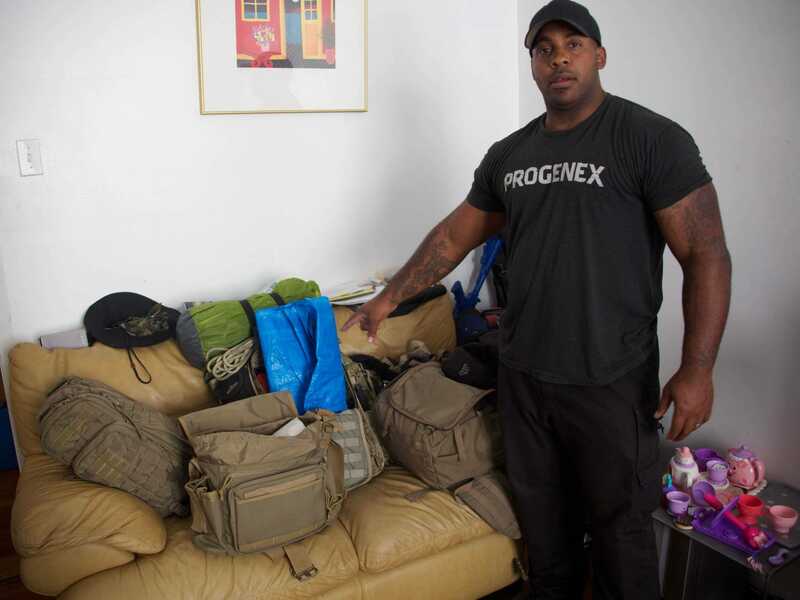 However, little mention has gone to more average preppers, like New York City firefighter and family man Jason Charles, who heads up the NYC Preppers Network. We recently contacted Charles to learn the more sane and mundane truth about the prepper movement. As his two children horsed around his Harlem apartment, Charles explained that prepping is a reasonable reaction to the world today. For him, it’s all about protecting his family. The NYC Preppers Network meets regularly to discuss how to prepare for natural disasters, terrorist attacks, and global catastrophes. 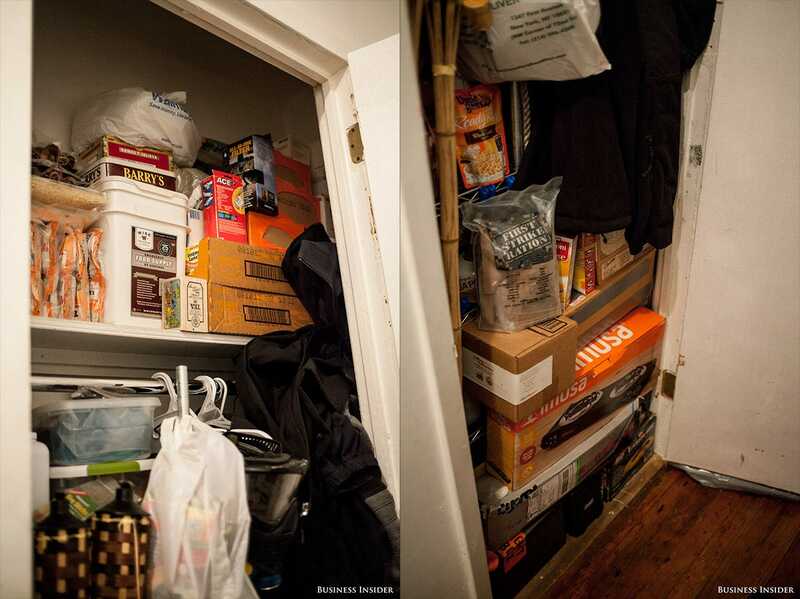 They work though various problems specific to New York City residents, such as limited space for storing emergency supplies and the difficulty of evacuating from a high density area like Manhattan. Charles started prepping nearly four years ago after reading Newt Gingrich’s introduction to the science fiction novel “One Second After.” In the introduction, Gingrich wrote about the possibility of a catastrophic electromagnetic pulse attack. Such an attack, he said, would “throw all of our lives back to an existence equal to that of the Middle Ages … Millions would die in the first week alone.” To hear a public figure like Newt Gingrich seriously lay out what he thought was a plausible scenario convinced Charles that he needed to prepare. 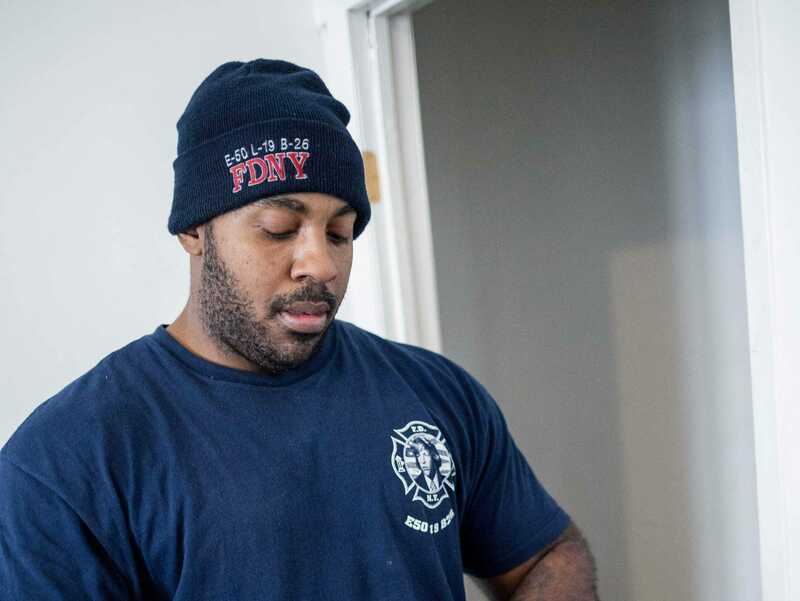 When Hurricane Sandy hit New York in 2012, Charles realised he needed to prep for a more immediate threat. While Manhattan emerged primarily unscathed, the devastation wrought across the coast of New Jersey, Staten Island, and Queens struck him. The city was able to recover quickly, but if something more catastrophic hit next time, like Hurricane Katrina in 2005, he wasn’t so sure. 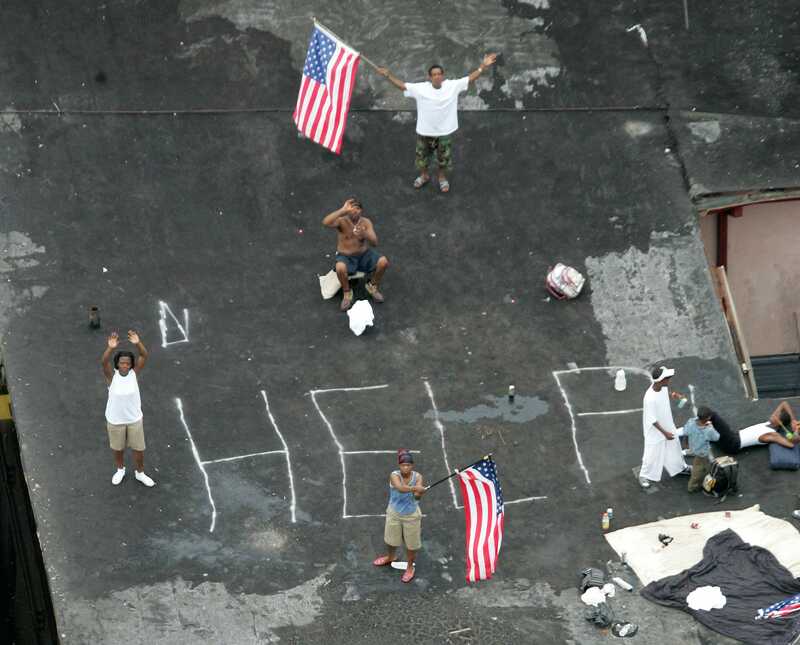 Charles began talking to people on prepper forums who had lived through Hurricane Katrina. Their stories from the storm only strengthened his resolve. REUTERS/Rick WilkingA family sits on their porch in the Treme area of New Orleans, which lies under several feet of water after Hurricane Katrina hit August 29, 2005. The most harrowing story he was told came from a prepper, who in the run-up to Katrina, urged his neighbours to buy emergency supplies, food, and water. 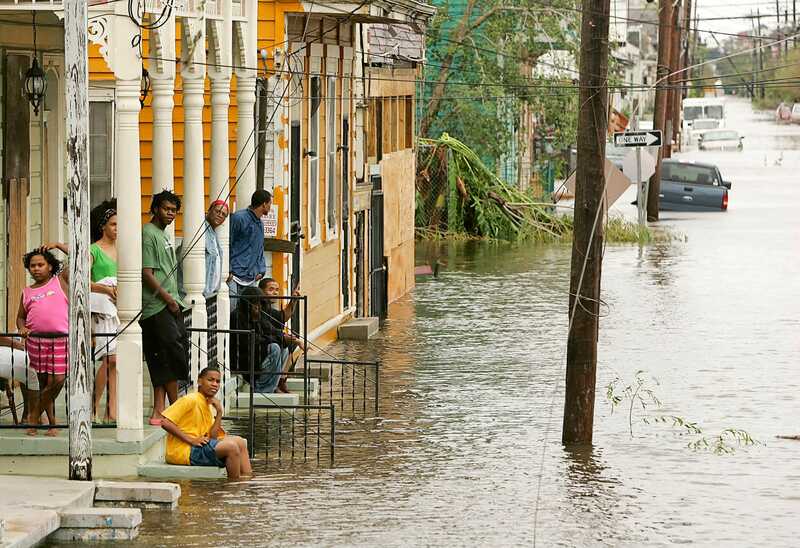 Few listened and, when New Orleans flooded, they came to him for help. He gave out supplies initially, but, when the neighbours returned with a crowd, he explained that he needed the rest for his family. The crowd turned antagonistic. The man scared them off with a shotgun, but it wasn’t long before they returned throwing bricks through his windows in retaliation. He left soon after with as much of his emergency supplies as he could carry. REUTERS/David J. Phillip/Pool DJPResidents wait on a roof top to be rescued from the floodwaters of Hurricane Katrina in New Orleans September 1, 2005. Stories like this, according to Charles, happen often when “sh — t hits the fan.” One prepared person warns others in the run-up to a potentially dangerous event and others don’t listen, expecting someone — the government or a friendly neighbour — to provide during a disaster. It’s what Charles calls “the entitlement problem,” a phenomenon talked about ad nauseam on prepper blogs and websites. Many preppers believe modern society has conditioned people to depend on others (the government, companies, neighbours) to fix their problems, rather than taking the time and effort to care for their own needs. This mentality dominates during disaster scenarios, according to preppers. The entitlement problem can make things turn ugly, according to Charles. To avoid this scenario, he keeps his supplies hidden deep in a closet in his apartment. The closet houses an extensive food supply (ramen, rice, sugar, salt, flour, canned goods, meals-ready-to-eat), water, propane, and first-aid. Charles says he leaves the front of the closet looking messy to fool looters in the event of a breakdown. Charles teaches fellow preppers in the NYC Preppers Network to, at the bare minimum, carry seven days worth of supplies. To him, doing so carries little risk and, in the off-chance that a disaster or an attack does happen, provides a lot of relief.